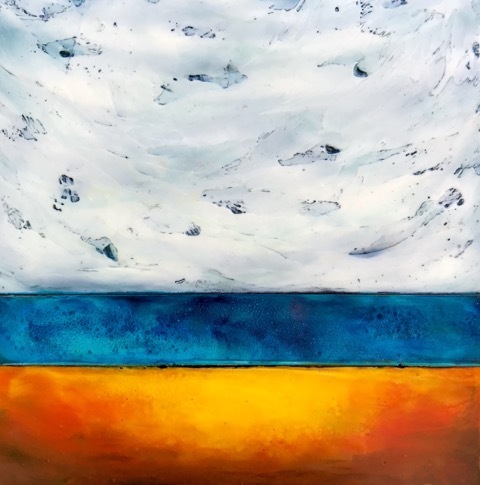 The Conflue nce Gallery and Art Center will feature Tamera Abate’s solo art show, The Nature of Things, in the Community Gallery. Born and raised in Washington State, Abate settled and began working as an artist in Winthrop. She has been featured in several galleries, and her work is held in private collections around the world. She has also been published in books and magazines. The Nature of Things highlights Abate’s relationship with the natural world. Though Abate works in many different mediums, The Nature of Things is an encaustic show. Encaustic is the process of combining beeswax, damar resin (tree sap) and pigment powder to create paintings on wood. Encaustic has been used for over 2,000 years, primarily in Egypt and Greece. DATES: Opening reception, Nov 17, 5pm-7pm; runs through Jan 5. Starting Dec 3, extended holiday hours: Mon-Sat, 10am-5pm. LOCATION: Confluence Gallery, 104 N Glover Street. INFO/CONTACT: 509-997-2787, confluencegallery.com.